The dollar weakened to a three-week low against the yen as investors pushed back bets for when the Federal Reserve will increase interest rates. The greenback fell versus most of its major peers, dropping the greatest against Asian currencies after minutes of Fed policy makers September meeting, released yesterday, showed officials said slowing global growth and a stronger currency pose potential risks to the U.S. outlook. The dollar depreciated 0.3% to 107.72 yen and touched 107.61, the weakest since September 17. The U.S. currency slid 0.4% to 1.2770 per euro and reached 1.2791, the most since September 24. The Dollar Spot Index, which tracks the greenback against 10 major currencies, lost 0.3% to 1,059.37, after dropping 1.5% during the previous three days. 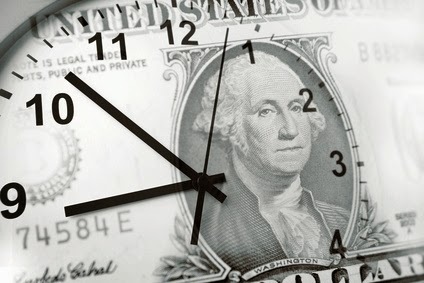 The dollar gained against most of its major peers before the Federal Reserve releases minutes of its last meeting as investors weighed the timing of the first interest-rate increase since 2006. The greenback gained 0.3% to $1.2633 per euro after touching $1.2501 on October 3, the strongest since August 2012. It climbed 0.3% to 108.39 yen from yesterday, after falling 1.6% in the past two sessions. The yen was little changed at 136.94 per euro from yesterday, when it touched 136.56, the strongest since September 8. The Fed, which meets October 28-29, is on track to end a program of stimulatory bond purchases this month. Futures’ trading shows a 45% likelihood that the U.S. central bank will raise rates to 0.5% or higher by the end of July. The target rate has been maintained in a range of zero to 0.25% since 2008 to support the economy. The U.S. economy is seen expanding 3.1%, compared with a 3% pace forecast in July, the IMF said. The Canadian_dollar fell to its lowest point in six months against the U.S. dollar after the nation posted an unexpected trade deficit in August, supporting the Bank of Canada’s cautious outlook on the economy. The currency rose against most of its other major peers after data showed the jobless rate in the U.S., Canada’s largest trading partner, fell to a six-year low in September. The Bank of Canada has held its benchmark interest rate at 1% for four years and maintained last month it is as likely to lower borrowing costs as raise them while it waits for signs of a sustained export recovery that can power economic growth. 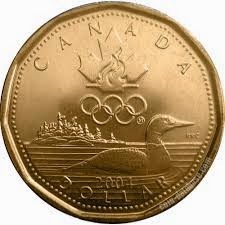 The Loonie fell as low as 1.1271 per U.S. dollar, the least since March 20, before closing down 0.8% at 1.1244. 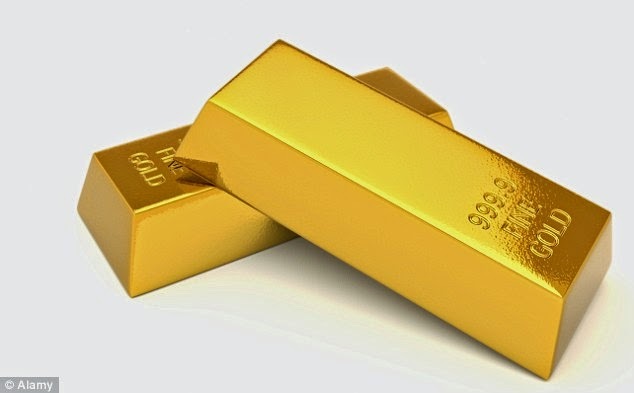 Gold fell to extend a weekly drop as investors assessed prospects for higher U.S. interest rates before the world’s biggest economy reports monthly payrolls. Platinum dropped to a five-year low, set for the biggest weekly loss since June 2013. Gold is moving closer to erasing this year’s gains. An accelerating U.S. economy means investors are shunning haven investments even after the U.S. expanded sanctions against Russia and stepped up its campaign against Islamic State. 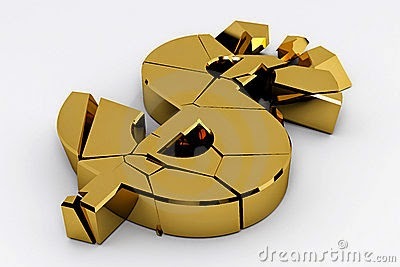 Improving data have strengthened the dollar and prompted the Federal Reserve, on track to announce the end of its bond-buying program this month, to assess whether the economic recovery can withstand higher borrowing costs. Bullion for immediate delivery slid as much as 0.3 %to $1,211.06 an ounce and was at $1,211.56, down 0.6% this week. The metal touched $1,204.57 on September 30, the lowest since January 2. The Dollar Spot Index has risen 0.2% in the past five days and is heading for its seventh week of gains, the longest stretch since June 2010. Gold typically trades counter to the dollar. U.S. employers added 215K jobs in September, according to the estimate before Labor Department figure today. The increase in August was 142K. Gold for December delivery fell 0.2 percent to $1,212.50 on the Comex in New York. Futures are set for a fifth weekly loss, the longest such run since January 2013. U.S. crude supplies probably shrank by 1.5 million barrels last week to 357.1 million, according to estimate before an Energy Information Administration report today. That would be a fifth weekly decline. Gasoline inventories fell by 125K barrels to 212.2 million during the week ended September 12, according to the forecast. Distillate supplies, which include heating oil and diesel, rose by 750K barrels to 128.2 million. West Texas Intermediate traded near the highest price in almost two weeks after OPEC’s secretary general said the group may cut crude-output targets next year. Futures were little changed in New York after advancing 2.1% yesterday. 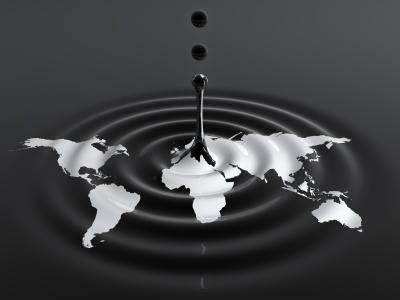 The Organization of Petroleum Exporting Countries’ daily output target may fall by 500K barrels to 29.5 million barrels in 2015, Abdalla El-Badri said at OPEC’s secretariat in Vienna. In the U.S. the top general said he would support sending advisers to accompany Iraq troops into battle against Islamic State if necessary. WTI for October delivery was at $94.75 a barrel in electronic trading on the New York Mercantile Exchange, down 13 cents at 12:05 p.m. Singapore time. The contract gained $1.96 to $94.88 yesterday, the highest close since Sept. 3. The volume of all futures traded was about 28 percent above the 100-day average. Prices have decreased 3.7% this year. 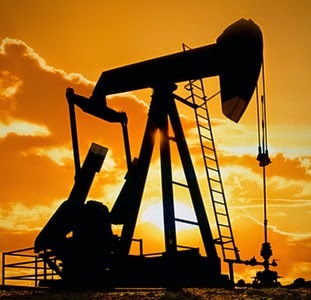 West Texas Intermediate crude recouped losses to trade near the highest closing level in more than a week before data forecast to show inventories declined last week. Futures were little changed, having earlier lost as much as 0.4% in New York. U.S. crude inventories probably shrank by 1.5 million barrels last week to 357.1 million, according the estimate before data from the Energy Information Administration tomorrow. Federal Reserve officials meet to review policy from today. WTI for October delivery traded 10 cents lower at $92.83 a barrel in electronic trading on the New York Mercantile Exchange, having lost as much as 37 cents to $92.55 a barrel. The volume of all futures traded was about 22% below the 100-day average for the time of day. Prices have decreased 5.6% this year. West Texas Intermediate traded near a three-day high before a government report forecast to show crude stockpiles dropped for a second week in the U.S., the world’s biggest oil consumer. U.S. gasoline inventories probably slid by 1.6 million barrels in the week ended August 22, according to the estimate. The API in Washington reported a decline of 3.2 million, Bain Energy said. Distillate-fuel supplies, including heating oil and diesel, are projected to remain at 121.5 million barrels after three weeks of decreases. The industry report yesterday showed a gain of 2.4 million. The API collects information on a voluntary basis from operators of refineries, bulk terminals and pipelines, while the government requires that reports be filed with the EIA, the Energy Department’s statistical arm. In Iraq, the president of the Kurdish Regional Government, Massoud Barzani, said he’s asked Iran for ammunition to fight insurgents, according to the Persian Gulf nation’s Mehr news agency. The conflict in Iraq, the second-biggest producer in the Organization of Petroleum Exporting Countries, has spared oil facilities in the south, home to about three-quarters of its crude output. Futures rose 0.3% in New York. Crude inventories probably shrank by 2.5 million barrels to 360 million last week, according to the estimate before data from the Energy Information Administration today. The American Petroleum Institute was said to have reported that supplies fell by 1.3 million barrels. Iran is joining efforts to back Iraqi Kurds battling Islamic State militants who have captured swathes of northern Iraq. 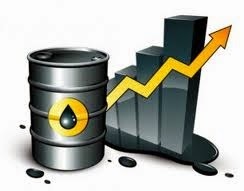 WTI for October delivery was at $94.10 a barrel in electronic trading on the New York Mercantile Exchange, up 24 cents. It climbed 51 cents to $93.86 yesterday, the highest close since August 21. The volume of all futures traded was about 52 percent below the 100-day average for the time of day. Prices are down 4.4 percent this year. Copyright ICM Brokers, all rights reserved.. Picture Window theme. Theme images by Bim. Powered by Blogger.